Five very different gardens spread across Ilkley, the famous Yorkshire spa town all planted for year-round interest. 16 Victoria Avenue LS29 9BL: Collect map here. A small woodland garden to the front with birch, rowans, acers, ferns and other shade loving plants. 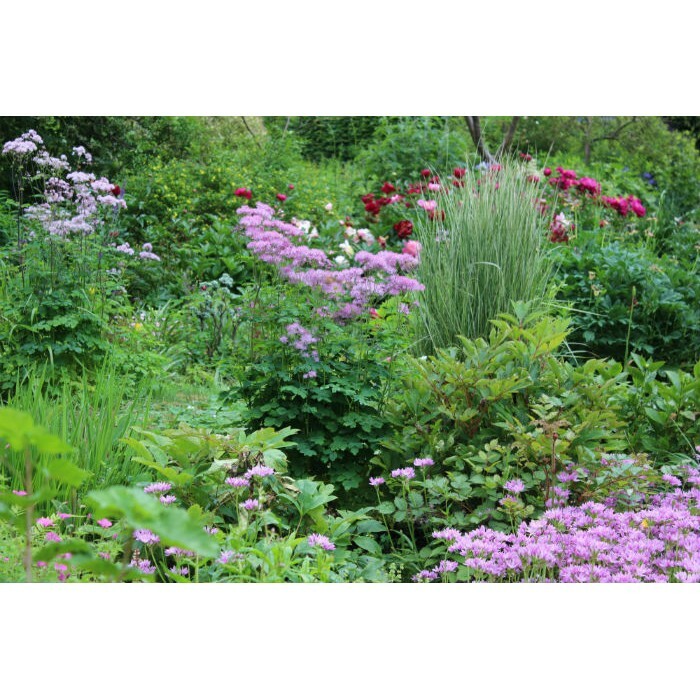 The rear garden features herbaceous perennials, a tiny pond and plenty of places to sit. 39 Crossbeck Road, LS29 9JP: A plantaholic’s garden evolving to accommodate all manner of plants from alpines, shade lovers, herbaceous perennials, shrubs and small trees. 63 Bolling Road LS29 8QA: A garden dominated by large trees; to the front a huge cedar tree and to the rear a large tulip tree and sycamore. To the side is Backstone Beck which runs down from Ilkley Moor to the River Wharfe. 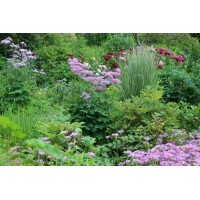 The planting is mostly woodland and shade loving plants. Entrance to garden shared with neighbouring house. 10 Woodroyd Gardens LS29 8BU: On the site of the former vegetable plot of the 19th century house next door. A north-facing rock garden at the front and a sloping south facing garden to the rear with a lawn and well established shrubs, fruit trees and mixed herbaceous borders with grasses. The borders are being extended with the emphasis on mid to late summer colour. 1A The Drive LS29 8AY: Collect map here. 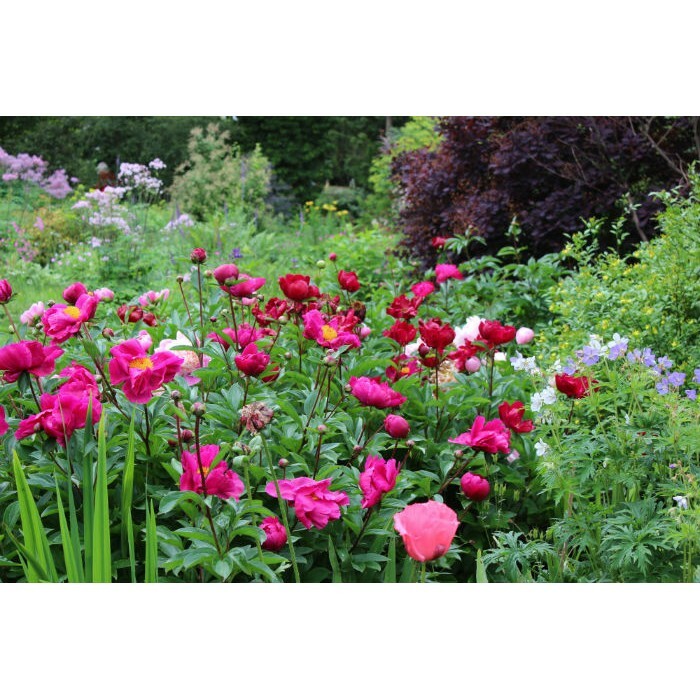 A true plantsman’s garden containing an amazing array of plants, some suited to shade created by the large trees surrounding the garden, and many sun-loving plants including a stunning collection of peonies. 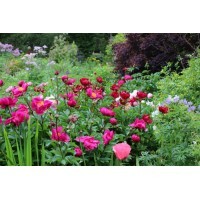 Admission £5 (covers entry to all five gardens), children free. 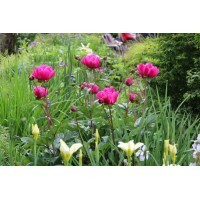 Dogs welcome on leads, refreshments, plants for sale, toilet facilities, no access for coaches to 10 Woodroyd Gardens. Four of the five gardens are not suitable for disabled due to steepness, split levels, narrowness of paths etc. Start at one of these gardens and collect a map showing all the garden locations. 16 Victoria Avenue, Ilkley LS29 9BL: Approaching Ilkley from the west on A65, at 1st set of traffic lights turn right into Victoria Avenue – no 16 is on the right hand side with parking on the road. 1A The Drive, Ilkley, LS29 8AY: Approaching Ilkley from the east on A65 at 1st set of traffic lights (by Factory Shop) turn left, following road to pass under railway bridge. Shortly after, instead of following the road as it bends sharply to the right, take a left fork by Methodist Church in front of 1A The Drive, through stone pillars and turn in to church car park on right.